It was a mutual need to protect photography that sparked Kim Sion and Lucy Kumara Moore’s curatorial union. The pair share diverse experience with the medium: Sion is a creative consultant and former agent (she represented the likes of Alister Mackie, Ellen Von Unwerth and Katy England); while director of Claire de Rouen books and curator Moore has helmed exhibitions for Burberry and founded Room&Book (an art book fair). In working closely with artists, photographers, and artist-photographers, the pair have been informed massively by how the ways in which we consume imagery has changed – namely thanks to the behemoth of social media. “I think this show just feels like perfect timing with the hysteria and the dilution of that whole [world of photography]... Now, there’s this need for content for everything,” Sion tells AnOther. 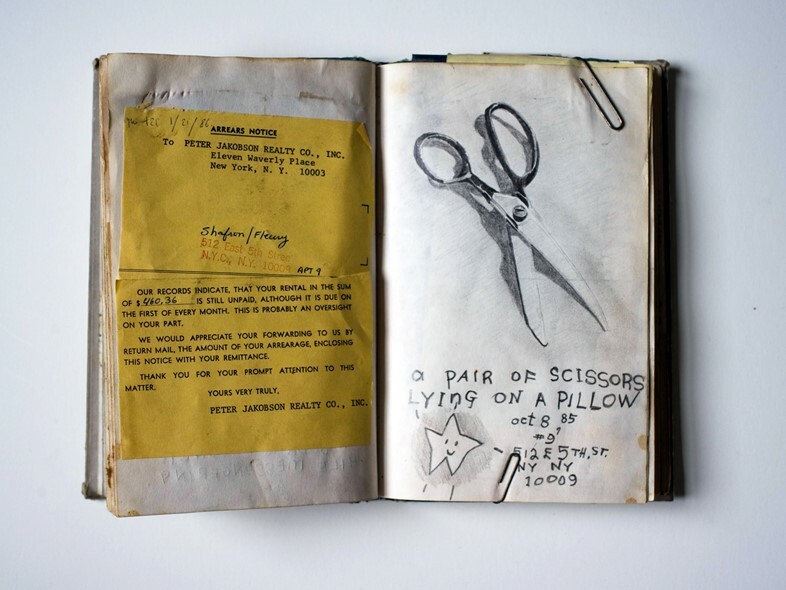 Cue the duo’s first show, showcasing no less than 40 of the handwritten and time-worn workbooks of Nigel Shafran. Opening this week at the Herald Street space (the site was previously the Claire de Rouen bookshop), will be an array of Shafran’s musings, findings and artistic prep. 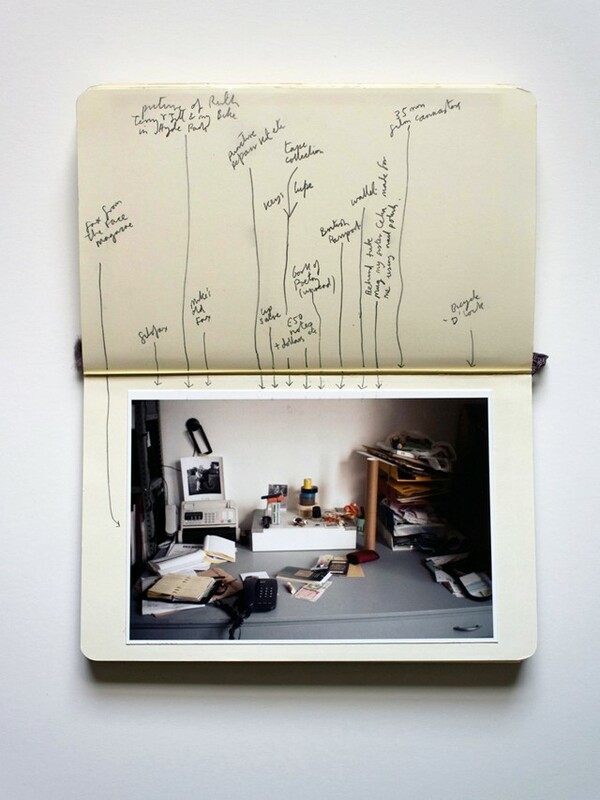 Shafran’s printed photographs fill these dog-eared books; notes and thoughts annotate his images, sometimes carefully, sometimes bombastically with clattering capital letters and seemingly hair-brained doodles spilling out from the bindings. 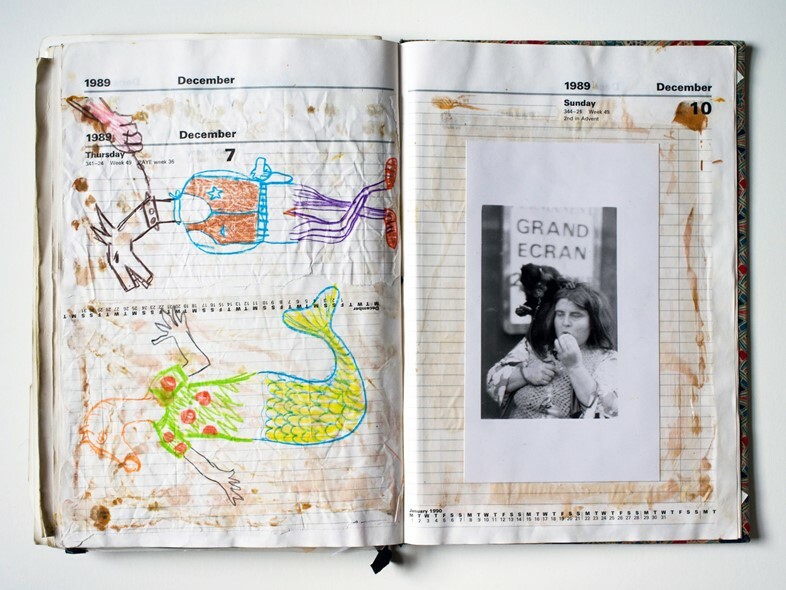 And though the books are filled with the inceptions of his creative projects, they also operate as aides-memoire, filled to the brim with daily ephemera – road tax discs, receipts – and journal entries complete with illustrative sketches. “There’s a very consistent attention and value that he attributes to these ephemeral pieces of paper, that most people wouldn’t think twice about,” Moore explains. “Something like a shopping list, for instance, which is not deemed important by most of us – but of course it says so much about time and his relationship with his family. It’s actually very poignant.” Sion agrees: “I think he uses the everyday to look into people’s personalities, the way he logs things. He did a series of empty breakfast plates at a motorway cafe... he’ll photograph people’s shopping going through checkout or the Paddington Escalator series. I think he’s quite intrigued by…” “...Daily rhythms,” Moore offers. This ode to Shafran’s methods are in no way nostalgic though – nor a straightforward criticism of photography today. “My perspective on the workbooks is that most of them, starting in 1984, are pre-digital. They collide material in the same way that the internet does now. In 1984 there was no option to go on the internet and do some research. Nigel was just working in a way that we all worked, when we assembled material. It’s just how it was.” What emerges then is a dialogue between photography then, and now – an embracing connectivity between the two. In the same spirit, prints of Shafran’s famous series Teenage Precinct Shoppers – a fashion editorial Shafran shot for i-D in the 90s – will be on sale alongside the exhibition. 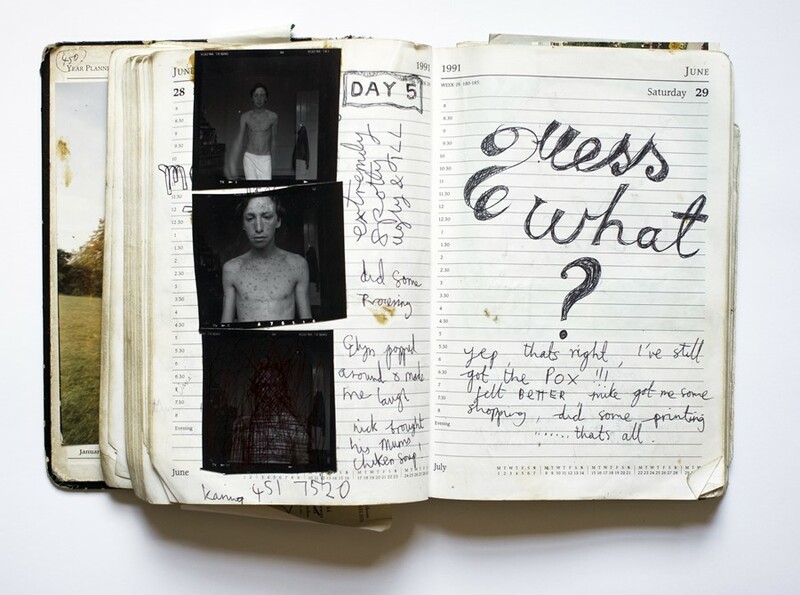 Since, while both Sion and Moore were keen to explore that very analogue slowness of his workbooks, they felt it could not be extricated from his fashion editorial work – both elements being as important to his oeuvre as the other. “We’re interested in dissolving that hierarchy between the different formats a photographer presents their work in,” Moore contines. Needless to say, we’re keen to see what comes next. 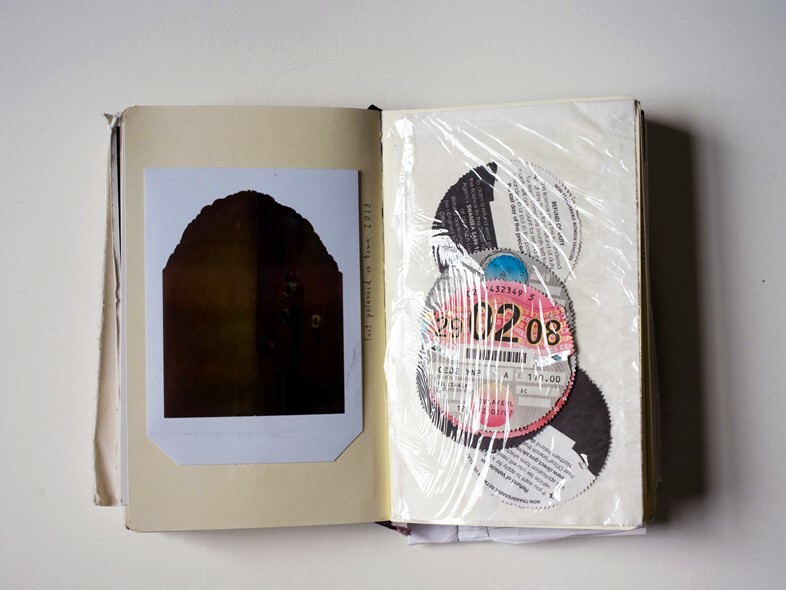 Nigel Shafran Work Books 1984 – 2018, runs from 18 May–17 June 2018 at 4 Herald Street, London, E2 6JT.